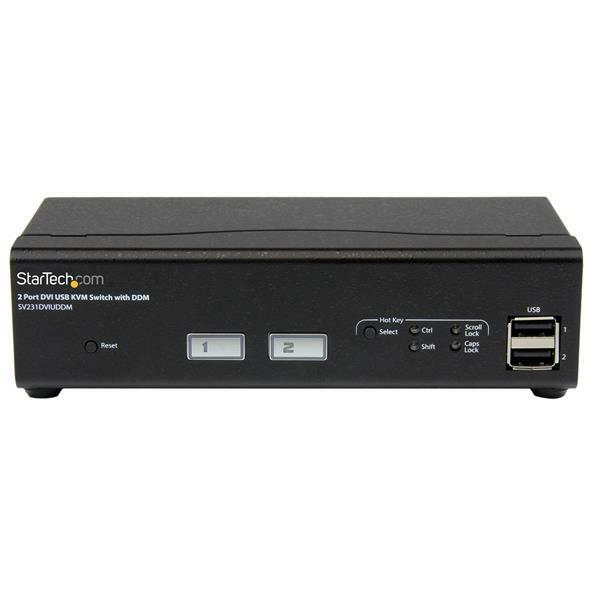 The SV231DVIUDDM 2-Port USB DVI KVM Switch lets you control 2 DVI, USB-equipped PCs using a single peripheral set at high-definition DVI resolutions up to 1920x1200. 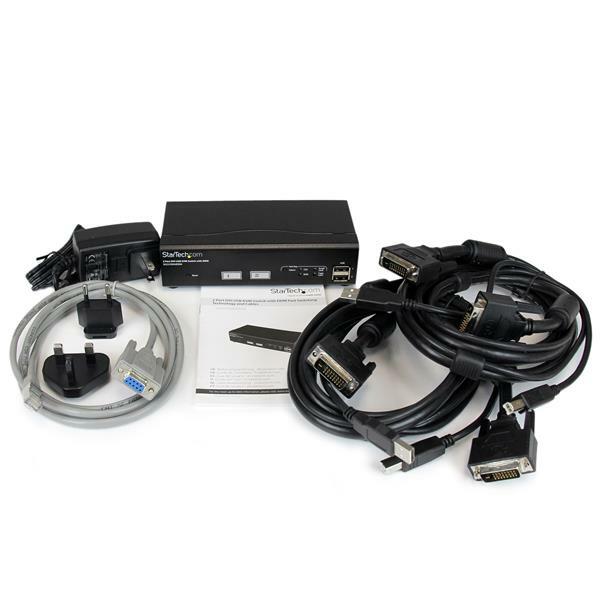 The included KVM cables provide a ready-out-of-the-box solution, while USB Dynamic Device Mapping (DDM) and Display Data Channel (DDC) features work to significantly reduce switching lag-time and improve overall compatibility with your connected display and input devices, saving you time and money. 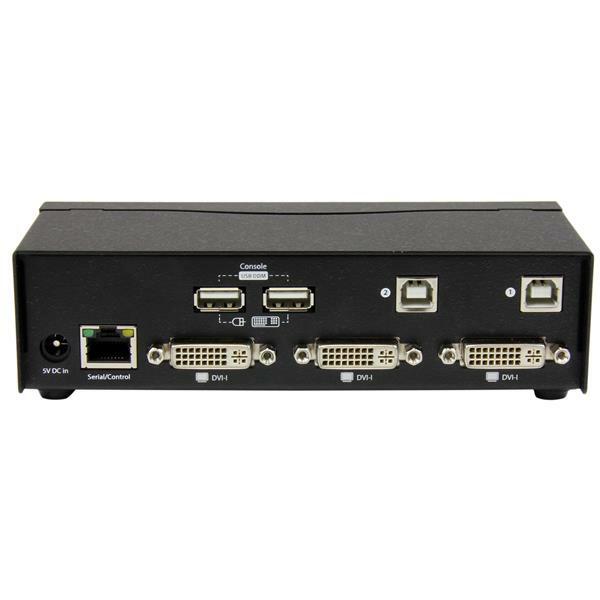 For the next level in KVM performance, this DVI KVM switch integrates dual-core dedicated processing per channel and innovative, USB DDM technology that enables you to quickly switch between connected computers with next-to-zero delay. DDM maintains a constant communication channel between your USB peripherals and connected systems, avoiding the time necessary for your systems to re-recognize the devices when switching. 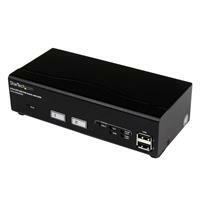 In addition to faster switching, the KVM offers All-time Display Data Channel (Full DDC) technology to maintain proper display detection among connected systems, a simple one-touch button for hot-key selection and an integrated 2-port USB hub allowing you to share additional peripherals.